Thailand – August, 2011 - Dymek Thailand receives an order for EVG 120 Spin/spray coating/developer system from one of biggest HDD manufacturing. The system combined spin coating, developing, and bake and chill processes give the EVG120 its high flexibility and provide for advanced multi-functional process variations. 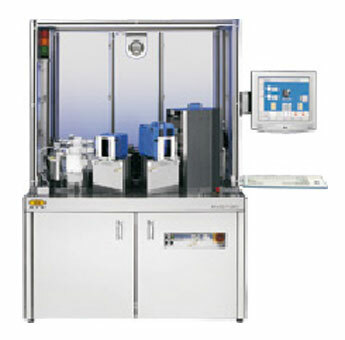 The EVG120 its high flexibility and provide for advanced multi-functional process variations. The system layout allows the processing of an extensive range of materials and delivers quality results for MEMS processes. It can integrate up to two spin modules and is fully-automated with a robot handling system that achieves cost-efficient, high throughput.